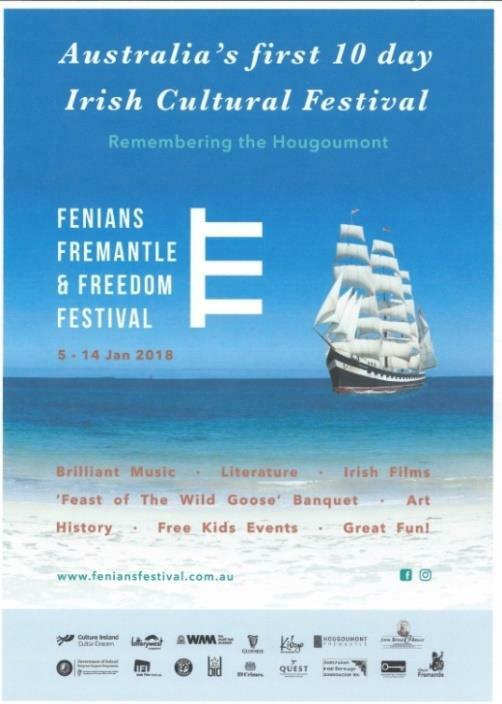 Information and background on the Fenians, Fremantle and Freedom Festival in Fremantle, Western Australia. 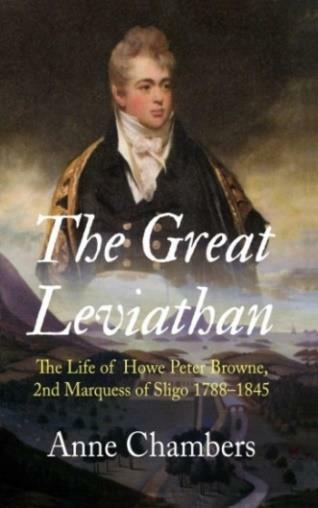 News of Anne Chambers’ new book THE GREAT LEVIATHAN, Life of Howe Peter Browne, whose grandmother was Elizabeth Kelly. Looks like interesting reading. Hon. 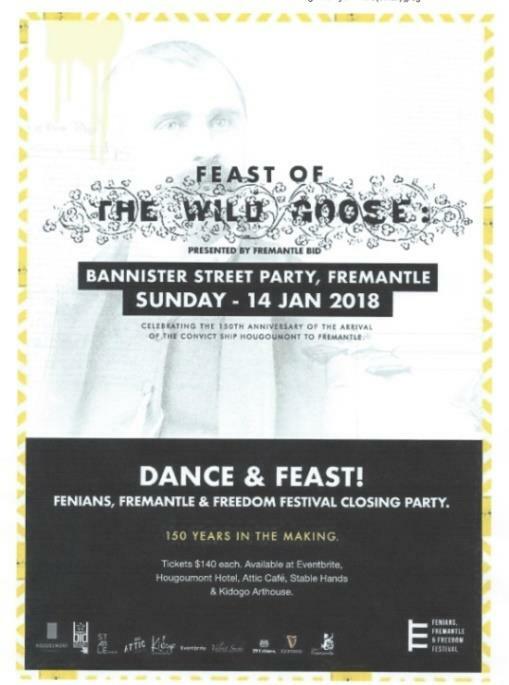 Michael D. Higgins, President of Ireland (3-piece gray suit) and our Asst Coordinatorfor DNA, Aidan Kelly, peering out from the back row with planning group for Fenians Fremantle & Freedom Festival for 5–14 January 2018 in Fremantle, Western Australia. As my husband and I are “hibernating” and trying to avoid the bitter cold and snow outside our windows, I am musing on the “little trips” I’ve taken while working with articles shared for this newsletter. I’ve been to Central Ireland and Dublin because of the article about one of our Founding Members, John Kelly from Tipperary; to Western Australia – in summertime, no less – with President Higgins, Aidan Kelly and others working on remembering and honoring their Irish ancestry; to Western Ireland, various other countries of Europe, the West Indies, U.S based on information for the new book THE GREAT LEVIATHAN; and back to the U.S. and Western Ireland with information on the Mayo Tour for September. These also covered time periods back to the 18th century. Former All Ireland winning Tipperary hurler John Kelly was a battler in his playing days and has proven to be just as much a fighter in his later years. The stylish Cappawhite player was one of the stars on the Tipp team that won the All lreland title in 1971, beating arch rivals Kilkenny in the final. But for much of the past two years he has battled serious illness. And he has shown the same resolve that he displayed when wearing the blue and gold in his fight to retain full health following brain surgery. He spent eighteen months in Beaumont Hospital where he was treated for a brain tumour. But last week he was able to return to the hospital to thank the staff who had cared for him so well – especially consultant Dr James O’Rourke who came in for special thanks. “He gave me wonderful care and I was so happy to be able to travel and thank him personally”, John told The Nationalist. John’s wife Mary was equally thankful. “I don’t think John would be here today without the work of Dr. O’Rourke. We cannot thank him enough”, she said. John’s return to Beaumont was part of a Hospital Heroes progamme where patients return to say thanks to doctors and nurses. John Kelly is hugely popular and well known throughout Tipperary. A wonderful defender with Cappawhite, Kilruane McDonaghs and Tipperary, his career highlight was winning a Celtic Cross with Tipp in that 1971 final. And after last year’s All Ireland win by Tipperary, the Liam McCarthy Cup was brought in to John in Beaumont Hospital for what was described as a very emotional occasion. A teacher by profession, he was principal of Cappawhite Vocational School and following its closure, he ran the very successful Youthreach progamme in the village. He retired in 2013. But his life was turned upside down in June 2015 when returning from a family holiday in the United States with his wife Mary. He became seriously ill on the flight home and received medical care on board. John and Mary were met at the airport by their daughter Margaret, who works in Beaumont Hospital. She became alarmed at her father’s condition and was he immediately rushed to Beaumont. He was initially diagnosed with pneumonia and a clot on his right lung but when John continued to have complications with his recovery, a further brain CT scan revealed a posterior fossa brain tumour. John had brain surgery and spent a year and half as an in-patient in Beaumont Hospital. “He was in hospital for 537 days”, recalls Mary. After the surgery John’s recovery was slow and there were times he couldn’t get out of bed. But under Dr. O’Rourke’s care, he made slow but steady progress, until he was eventually allowed to return home to Cappawhite last December. The fact that he never drank nor smoke probably helped his recovery, and as Mary says, he loves meeting and talking to people and was keen to return to his family and friends in the beautiful countryside of west Tipperary. “The care in hospital gave him the quality of life to be able to return home and have a certain amount of independence”, said Mary. “I don’t think he’d be here today without the care he received in the hospital and from Dr O’Rourke. We were so happy to be able to return to Beaumont last Thursday and thank him for everything he did”, she said. Managing Director of Beaumont Hospital Foundation Paddy Delaney explained the thinking behind the day. “Many of those who shared their personal accounts have had to fight long and hard on the road to their recovery. 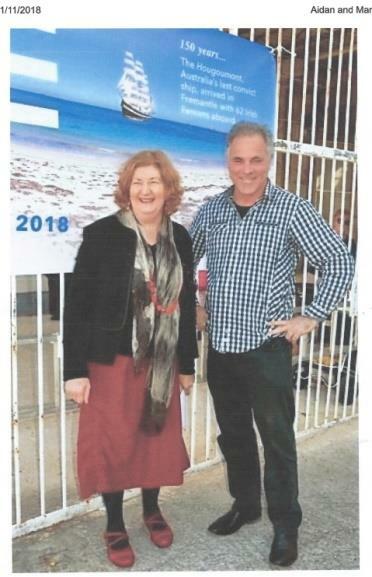 But with the support of Beaumont and its staff, they have made a return to health and indeed, many of them have gone on to fundraise for improved patient care at Beaumont Hospital. “The,‘Honour Your Heroes’ highlights our best product which is the medical expertise and the great level of care which staff in Beaumont Hospital provide to patients. “And while we all know that resources are very tight and staffing shortages exist this is about showcasing some very real stories of healthcare successes and proving that staff here in Beaumont Hospital are giving one hundred per cent to savings lives on a daily basis”, he said. The inaugural Kelly Clan get together was held at Dundrum Co. Tipperary in September 1992 organised by the Kellys of West Tipperary. (Tipperary town district). The local Clan’s Office in Tipperary town was trying to promote the idea of families getting together for a reunion and the head man John Bradshaw was constantly challenging John of Cappawhite to rally the local Kellys. Eventually, John responded and did his homework and invited four other Kellys to his home and formed a committee of like-minded people for the single purpose of forming a Clan reunion. It was no coincidence that all four were 3RD cousins and represent a cross section of the community. and finally Seán Kelly I.C.MS.A. (Irish Creamery Milk Suppliers’ Association) chief for many years and used to the corridors of power and getting things done. Meetings rotated between the committee homes and a plan of action was agreed and acted upon. Letters and e-mails were sent to America, Australia, Canada and both National & Local papers as well as relevant journals. Major effort was made in contacting in person the local Kellys and between the five of us, we knew them all.  Sean Kelly of I.C.M.S.A. fame to be chieftain on the night with medieval costume.  Guest speaker from Roscommon to speak about the Kellys in general.  Gearóid Ó Ceallaigh from Clare to speak.  Sean, the Chief of the night spoke. The next day, Sunday, bus tour took place and Kellys were taken by the highways and byways seeing Kelly homes. In Cappawhite tea/coffee snacks etc. were provided by Marie Kelly (Publican & John’s sister). The journey continued to Moyglass South Tipperary where a guided tour and talk was given of the Australian Ned Kelly’s father home village. The talk consisted of the activities of Red John Kelly (Ned’s father) and how he was caught for stealing pigs and transported to Australia. The local Kellys turned out in force. There were Kellys from America, Australia, Canada and many counties in Ireland. Mike from Australia, Brian from Dublin, the Kellys of Carlow who traced their Kellys back to John Kelly “The boy from Killane” ’98 rebellion leader. The famous Joe from England passed by and saw the banner for reunion and never came in. This event was the seed for the present Kelly Clan Gathering. 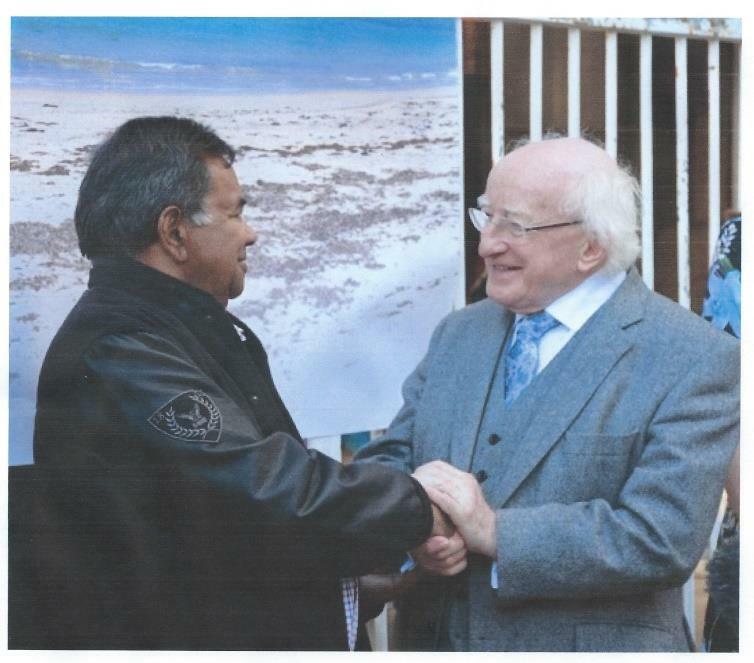 Ron Collard, Australian Aborigine, meeting with President Michael D Higgins of Ireland. 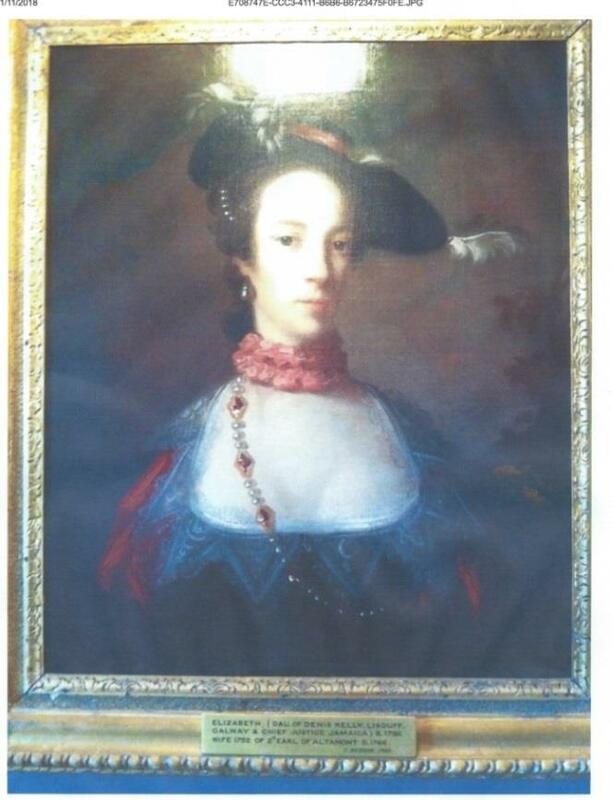 This picture of Elizabeth Kelly hangs at Westport House in Co Mayo. 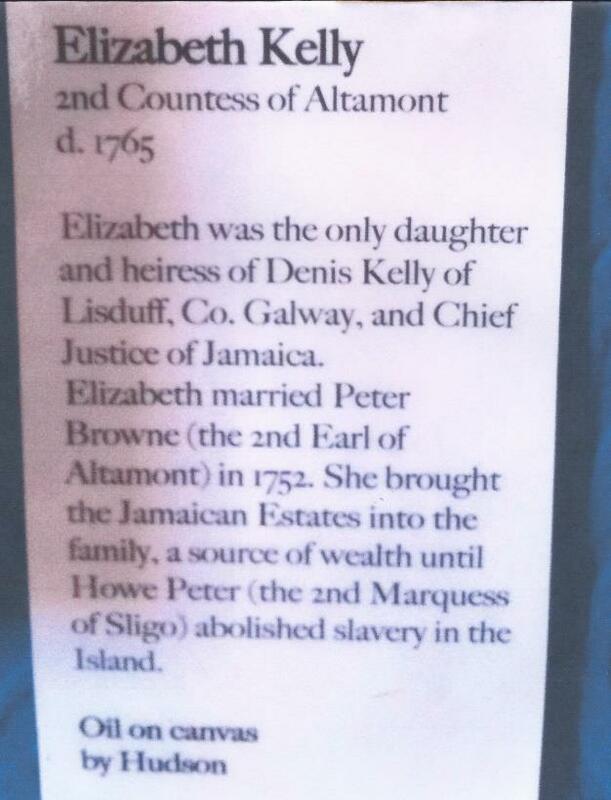 From a youth of hedonistic self-indulgence in Regency England to a reforming, responsible, well-intentioned legislator and landlord, Sligo became enshrined in the history of Jamaica as ‘Emancipator of the Slaves’ and in Ireland as ‘The Poor Man’s Friend’ during the most difficult of times. 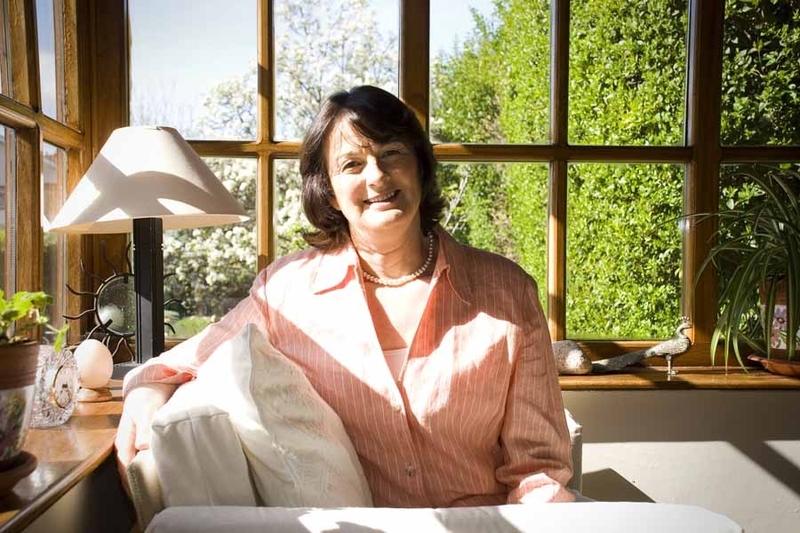 Her books have been the subject of TV and radio documentaries for Discovery, the Learning Channel, the Travel Channel, RTE’, Lyric FM and the BBC. Mike Healy is a Tourism Ireland Certified Ireland Specialist, Owner and Tour Director at Ireland Reunions Tours – College Alumni Class and Family Reunion Gatherings in Ireland, Certificate of Irish Heritage Affiliated Genealogist, Author/Photographer of “Irish Genealogy Tips, Techniques and Tales,” “Ireland Mosaic: A Photo Journey”, and “Pubs of Ireland” series eBooks in the following online bookstores play.google.com | www.amazon.com | www.bn.com www.ebookstore.sony.com and the Apple iBookstore. Search Keyword: M.D. Healy. Web: www.TheIrishPortal.com and www.IrelandReunions.com . Mike’s Ireland RnR Tours YouTube Channel, www.YouTube.com/IrelandRnRToursChannel, has over 200 short videos shot in Ireland for viewers to preview all that we do in Ireland on our tours. If you’re interested in this tour, or even in participating at a few of the venues, contact Mike Healy before March 15, 2018. Registration will be extended until June 15, 2018. For more details, and other possible tours, check the website!